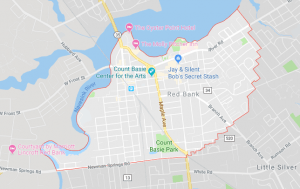 R-19 serves Red Bank NJ business phone systems. A division of Hytec Telephone, R -19 brings the highest quality service to its’ New Jersey PBX, VOIP, On-Premise and SIP phone system clients. Customer service representatives are experienced, knowledgeable, and easy to deal with. R-19 uses state of the art office phone communication technology, deploying cloud-based systems that eliminate typical hardware maintenance. Costs are competitive, with office telephone savings of up to 50% being common. Reach out to R-19 for a Red Bank NJ VOIP, PBX or SIP business phone system service consultation. R-19 offices are found at 1900 Atlantic Ave. in Manasquan New Jersey or just call (732) 528 0555.